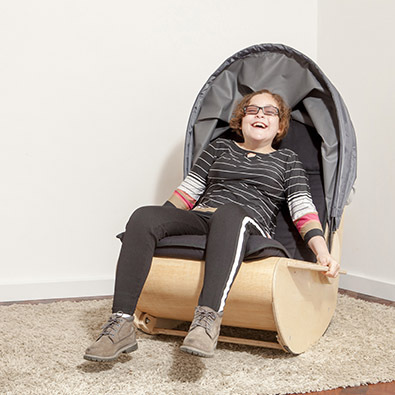 Find sensory sanctuary with this special rocking chair. 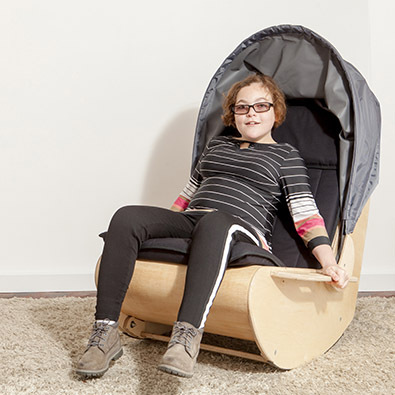 Developed in collaboration with children’s Occupational Therapist Nicola Estabrook, the Sensory Shell Chair’s hood helps both children and adults with sensory processing disorders such as autism to make sense of their world by limiting environmental stimuli. It works just as well in our busy workplace! 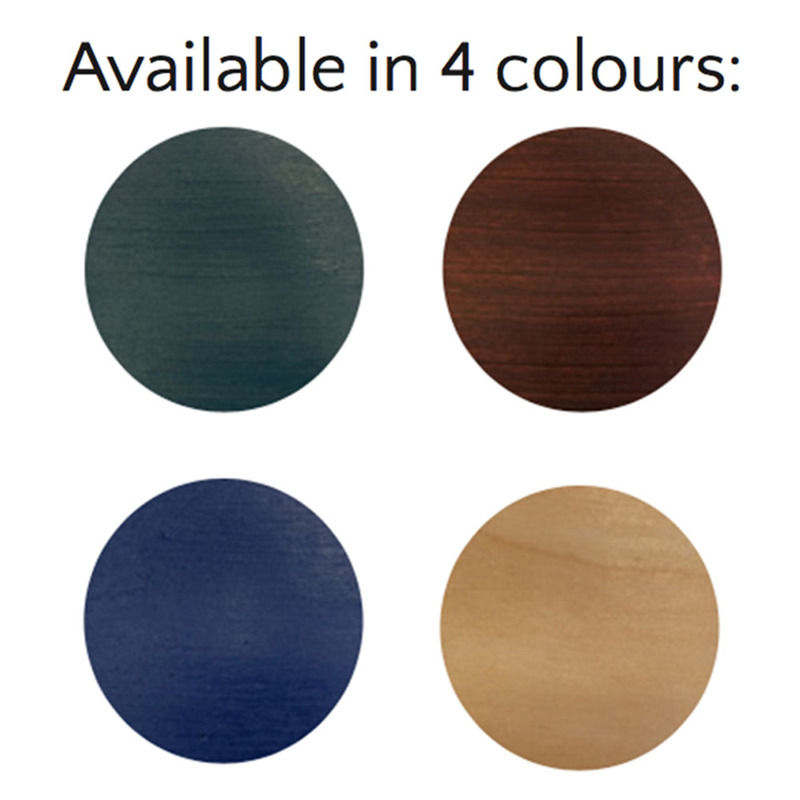 The chair can be rocked by the occupant or by someone else using the rear handle. 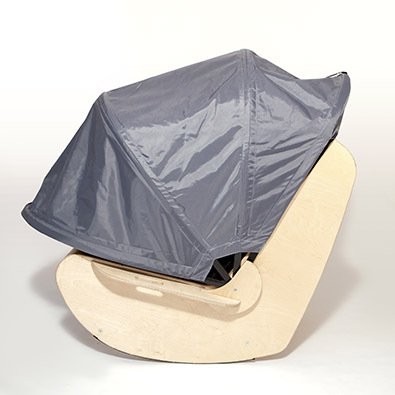 There’s a front and back kickstand which converts the chair for static use.